How often you see something that is worth sharing? It can be related to work as well as entertainment, between friends and colleagues. When you feel like showing things you see, don't hesitate to use Jet Screenshot, it won't take more than a few moments. In any type of communication, it is important to convey information quickly and easily for both the sender and the recipient. Jet Screenshot will be a valuable helper making snaps exchange as easy as pie. Folder Marker - a helper which can mark folders by priority (high, normal, low), by degree of work complete (done, half-done, planned) and by the type of information contained in the folder (work files, important files, temp files, private files). Free to try, $34.95 to buy. 60+ amazing professional vista folder icons. The biggest choice you can find on the Web. Use them to customize your folders. Each icon is designed to look impeccable in all sizes. Free to try, $19.95 to buy. Free to try, $29.95 to buy. Bee Icons can replace almost any system icon with a more stylish and improved version. 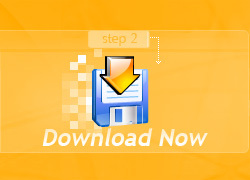 You can change Desktop icons, Start Menu, Hard, Floppy and Compact Disk icons. You can also assign unique pictograms to any folder or file type. Bee Icons allows you to change just one or two icons or you can apply an entirely new icon set to the desktop using Icon Themes. Currently, there are more than 250 unique Icon Themes to choose from. Ready Stock Icons - this website provides software developers with professional stock and custom-made icons, including free icon collections that can be used in commercial projects. Custom Icon Design - custom icon design for software developers and website designers.